Following snakes in Idaho and Ohio, Bensonhurst's snake marks the third escaped-boa-constrictor incident in just a few months. It's a spate! Everyone knows that when you have three of a thing, it's a spate. Seriously, look it up. And so, following the boa constrictor that wrapped itself around a car in Springfield, Ohio, and the boa constrictor that slithered into a family's backyard in Coeur d'Alene, Idaho, we present: the boa constrictor that slipped into a first-floor apartment in Bensonhurst and hid inside the couch. When the thing popped its head out from between the cushions just as the family's toddlers were settling in to do some coloring, hilarity (and years of therapy) ensued. 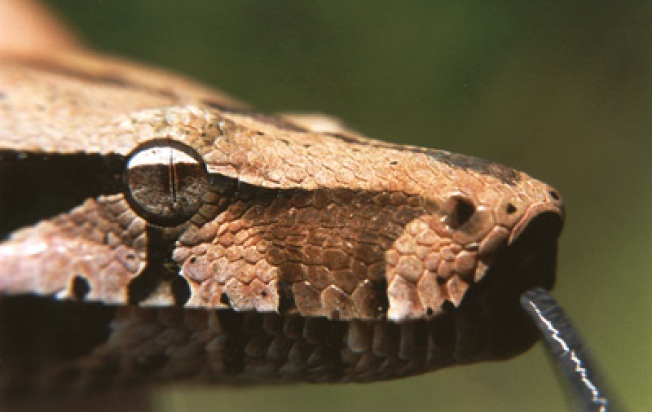 According to witnesses, the boa was "staring and waiting for someone to eat." Gothamist has the roundup on the presumed escaped pet, including a nod to a theory they're floating over at the Daily News: that the four-foot killer reptile found its way into the home through the toilet. Good luck getting to sleep tonight, kids!